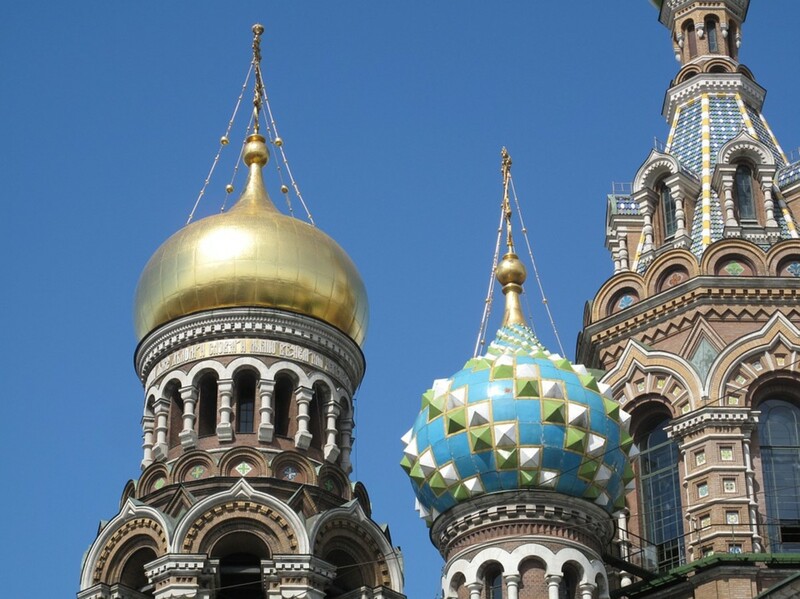 Peg traveled often during her business career and now she travels for pleasure. Share the adventure along with some of her favorite photos. 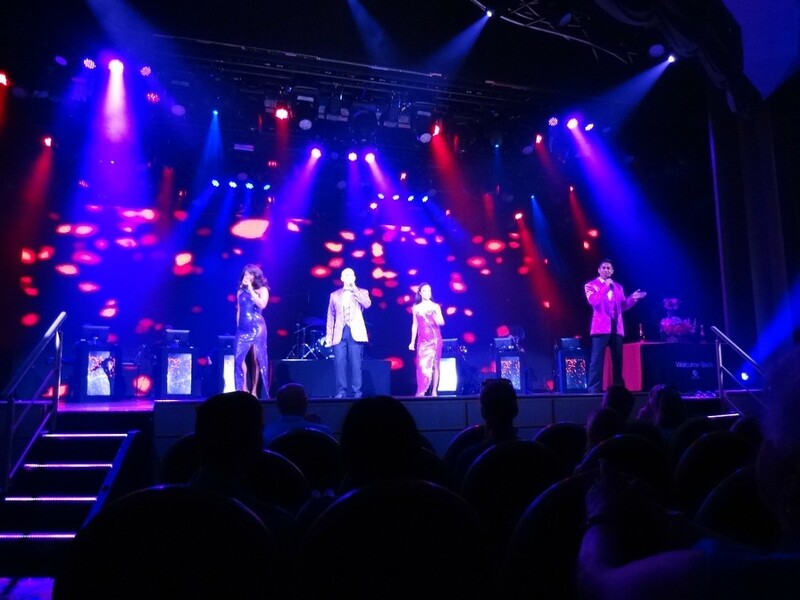 What is it about being aboard a cruise ship that's appealing and fun? Everything. From the moment you move beyond the embarkation process, which is like standing in line at Disneyland, the journey begins. Your personalized crew card is issued, which ties to your primary credit card for purchases aboard and makes shopping easy. 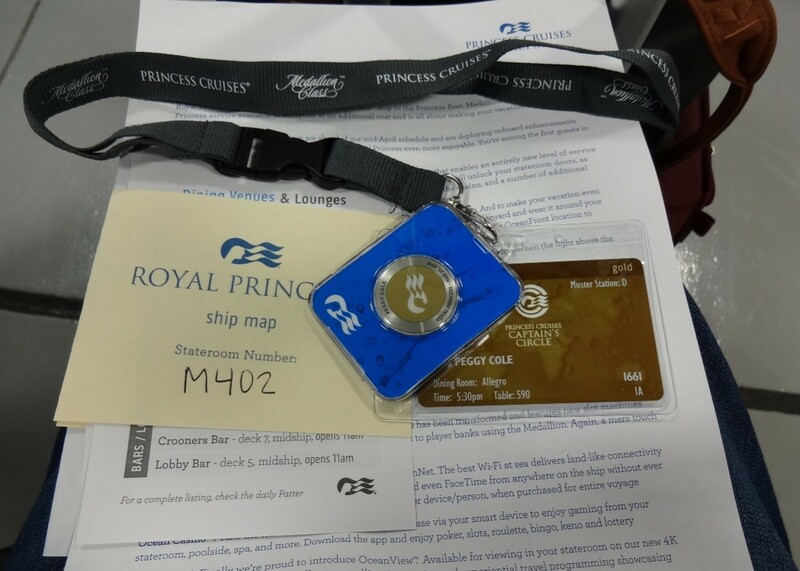 There’s also a new process that uses a personalized medallion scanned to allow access to everything from your cabin door entry to shipboard purchases. Once the process rolls out, it will replace the crew card. At boarding, an identity photo is taken by crew members to link you with your card/medallion and identify you as you move on and off the ship. 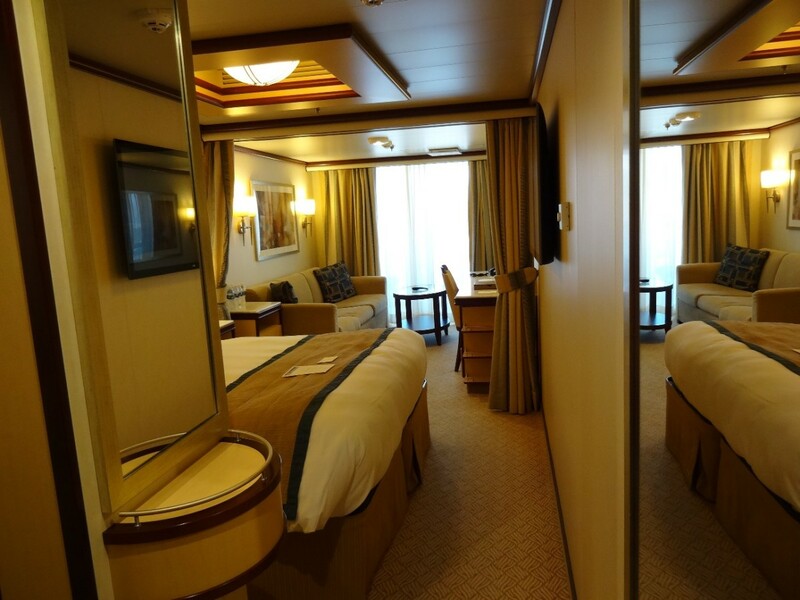 While you're waiting for the steward to deliver your luggage to your cabin, you can use this time to explore the ship. And what better way to find all the best places than as a stowaway? Despite tight security, it is possible to stowaway, that is, if you're really, really small. 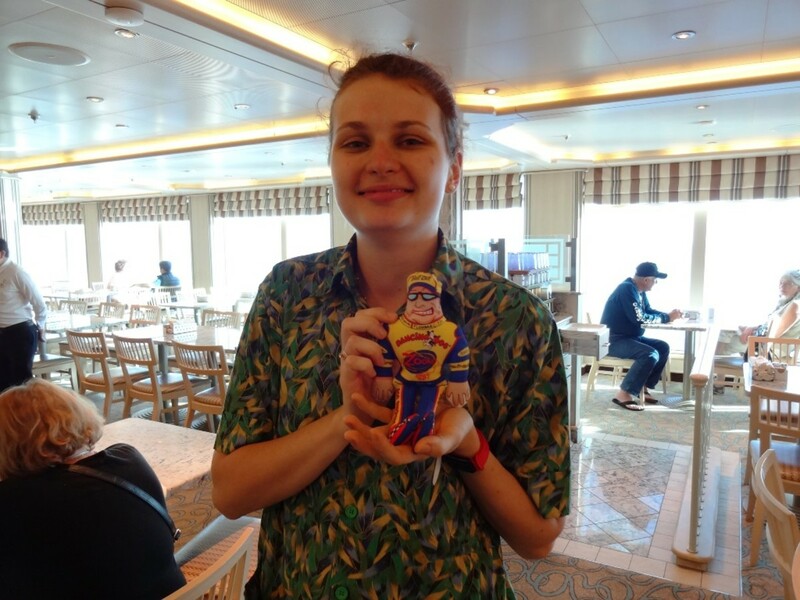 For photo purposes, we brought along a canvas squeak toy, a gift for a relative's pet once the cruise ended. Speedy joined us at meals where he was recognized as a celebrity. Waiters and servers delighted in remembering his name and posing for photos with the little toy. Hiding out in the life preservers, Speedy was undetected. Balcony mini suites have a full tub in the bathroom, a large closet, a writing desk, mini-refrigerator, blow dryer, hide-a-bed sofa and a super comfy bed along with two large-screen TVs and a side chair. 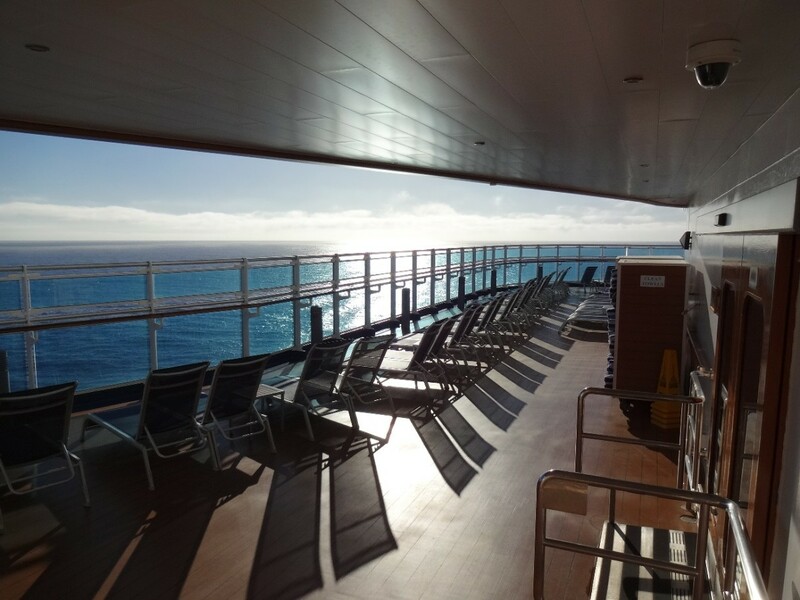 Lounge chairs on the balcony make for a relaxing and sea-worthy view. Highly recommended over interior cabins. 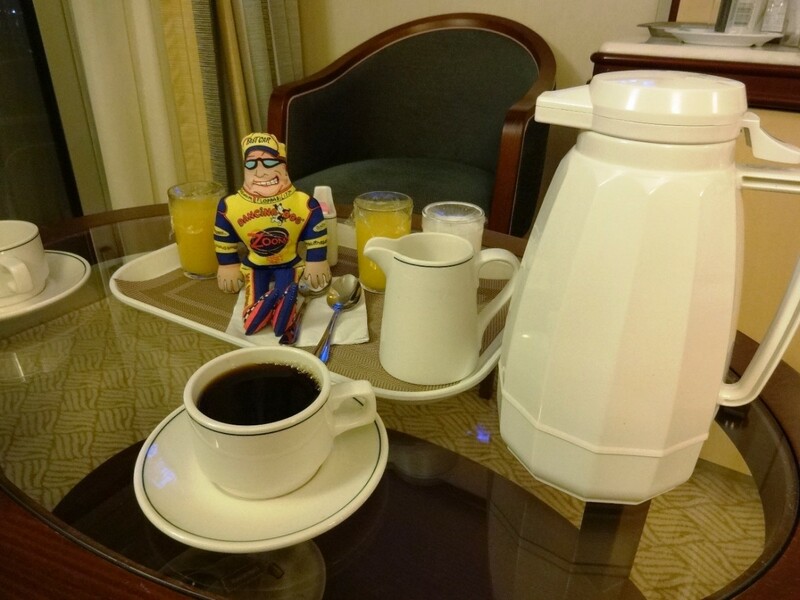 Each night we used the online ordering app to request coffee, juice and cereal to be delivered to the room for our early morning pleasure. Promptly at the time designated, we were treated to a light tapping on the cabin door and our steward would deliver the goods as promised. Afterward, Speedy joined us for a full-sized breakfast in the Horizon Court where he was recognized and posed for photos. Speedy often joined us at meals where he was recognized as a celebrity. Waiters and servers delighted in remembering his name and posing for photos with the little guy who boldly went where many have never gone before. He fit nicely in a cargo pants pocket where his little feet often betrayed his hidden status. 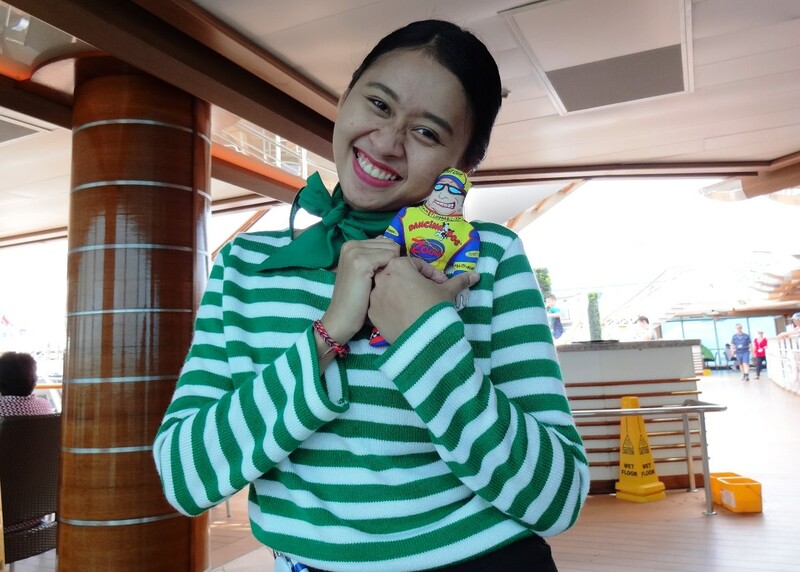 Along the walking paths, in the elevator, the theater, the shops, on the bridge of the ship, and even at Bingo games, he attracted the attention of those who vied for a chance to meet and share a photographic moment with the little guy. Much like life, the destination is not nearly as important as the journey. 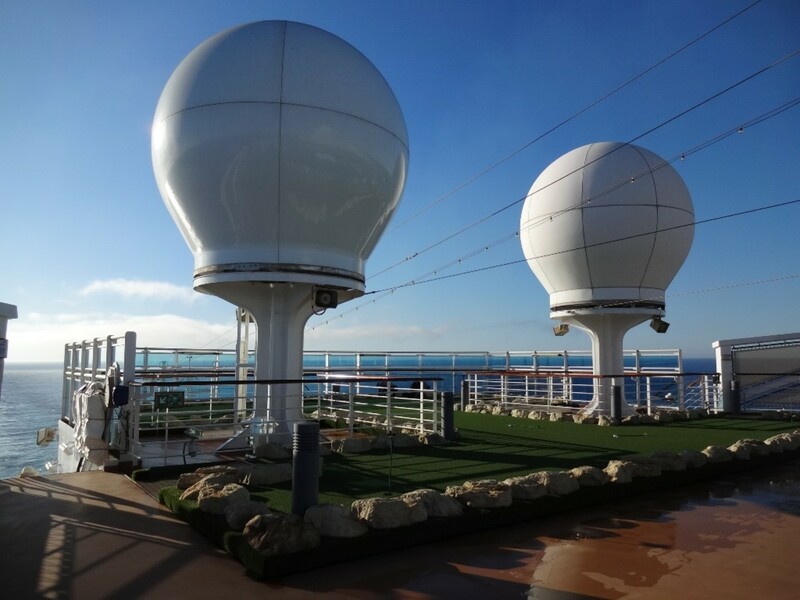 Cruising on the open seas is refreshing and enjoyable, allowing much time to relax and renew energy depleted by the daily rigors of work and worry. 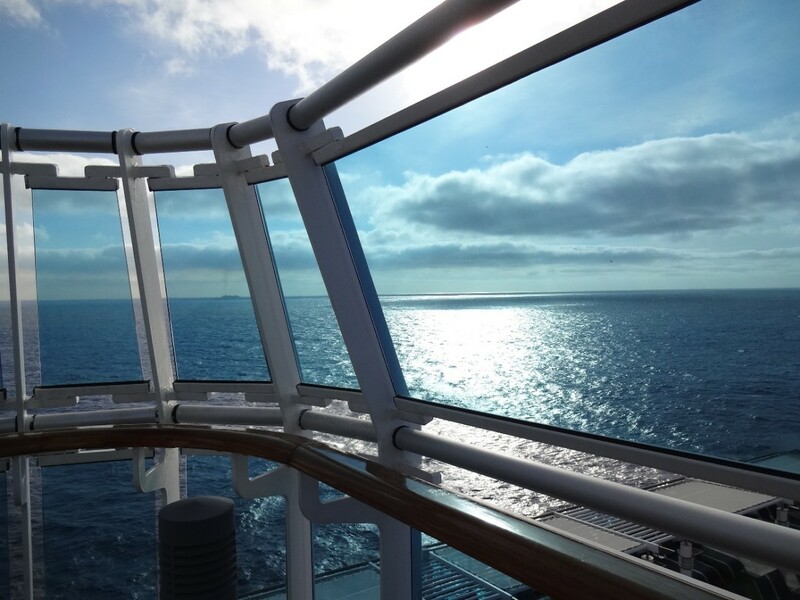 Aboard ship, the concentration moves from task completion to enjoyment and discovery. 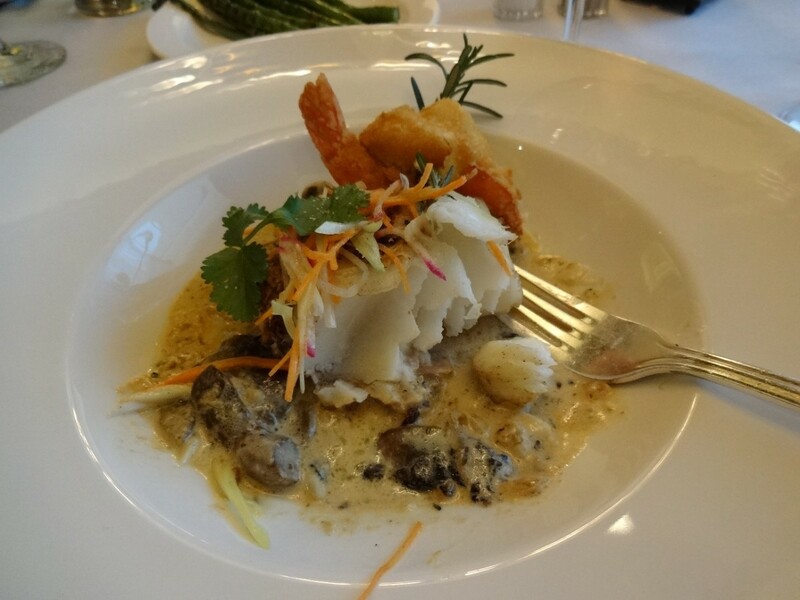 One of the first areas to explore includes the many fine dining venues. 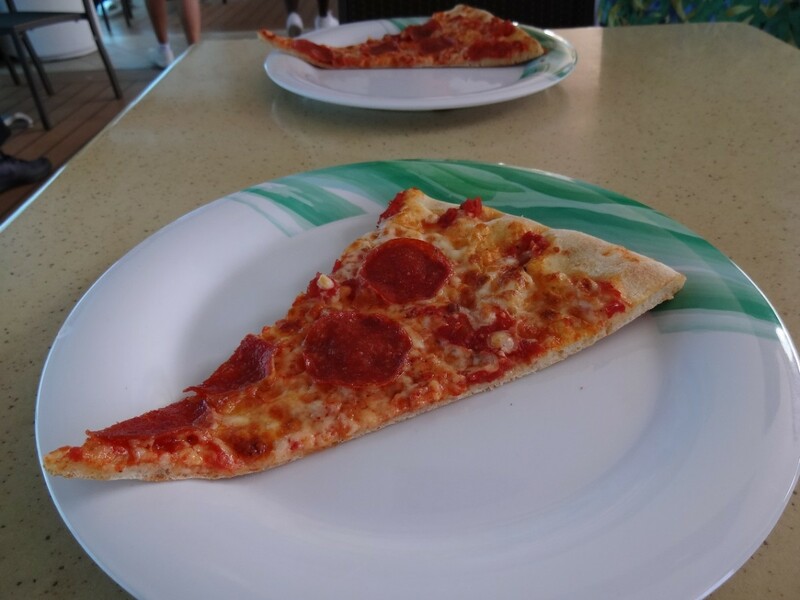 Poolside, there is a pizzeria serving up slices of freshly made, thin crust pizza. Take a seat along the rail and watch the flow of sea foam rush past as the ship makes its way forward. The wait staff eagerly come to fetch a drink order for you to enjoy and there is no fumbling for cash or a credit card. 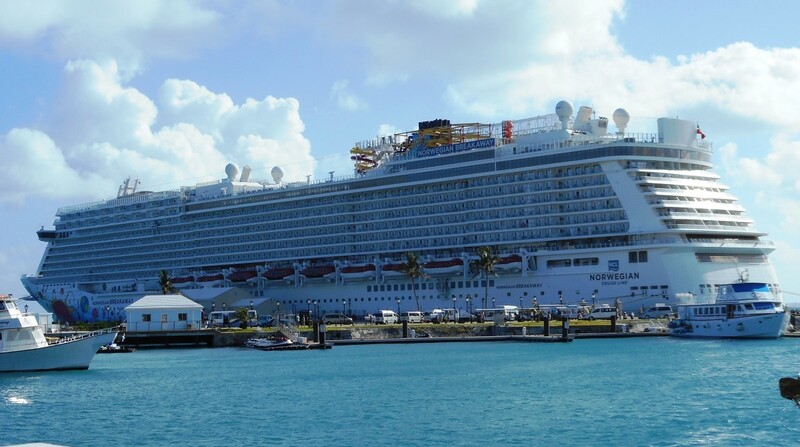 All your payments are funneled through the cruise card you're assigned prior to boarding. 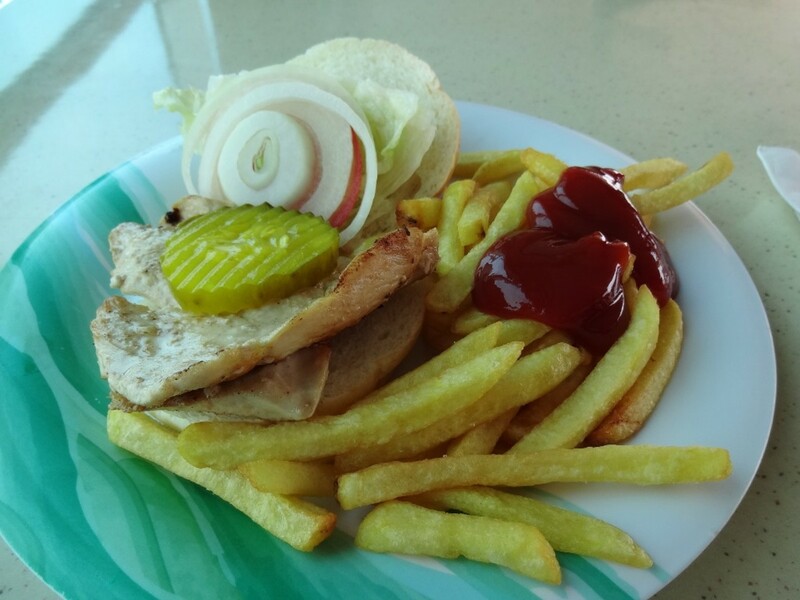 If hot dogs, hamburgers or chicken sandwiches sound good, stop by the outdoor kiosk poolside where fresh food is grilled in front of your eyes. There's also a kiosk with soft served ice cream. 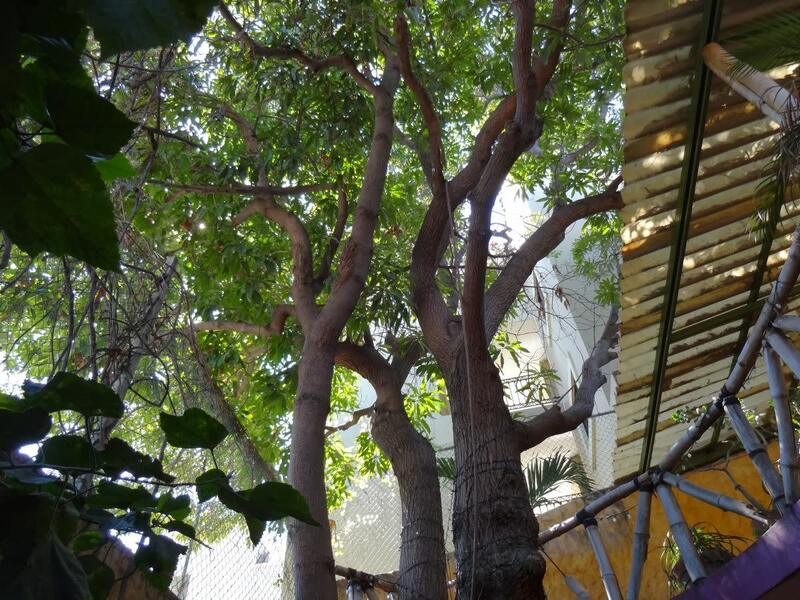 With the same excitement one feels at a carnival or fair, the many smells and sights keep the senses dancing. 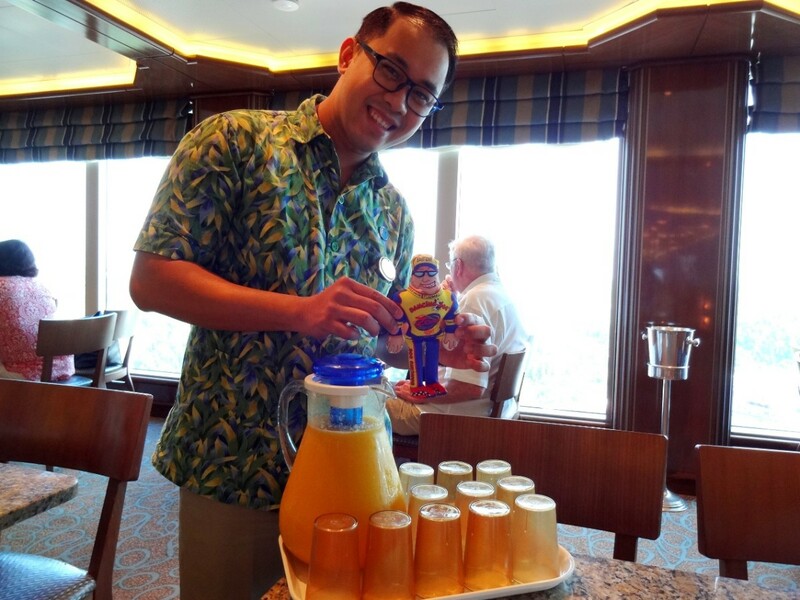 Poolside servers are eager to bring guests the beverage of their choice. This lovely server, Ruby, posed for a celebrity shot with Speedy. Alcoholic drinks are available for an additional charge or beverage packages can be purchased for each guest. Iced tea, lemonade, milk and other non-alcoholic drinks are included with meals. 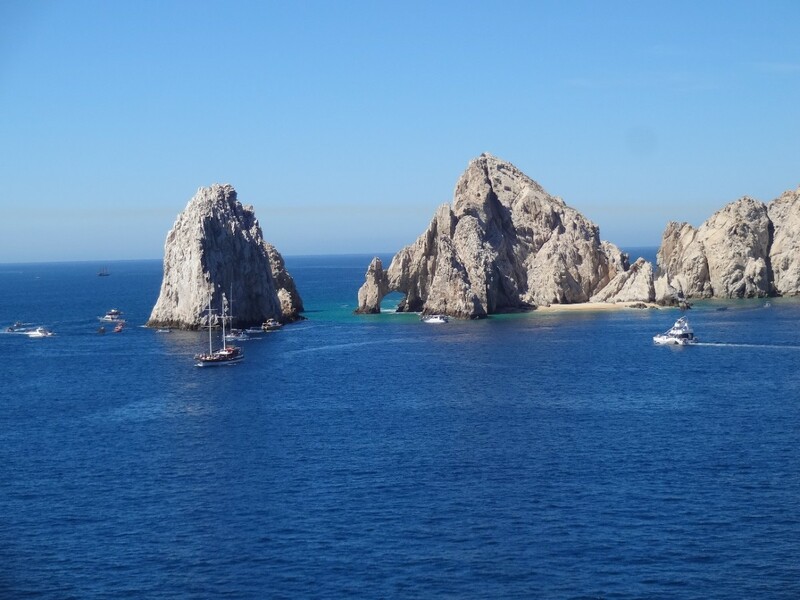 Our first two days were sea days, arriving in Cabo San Lucas Monday morning around dawn. 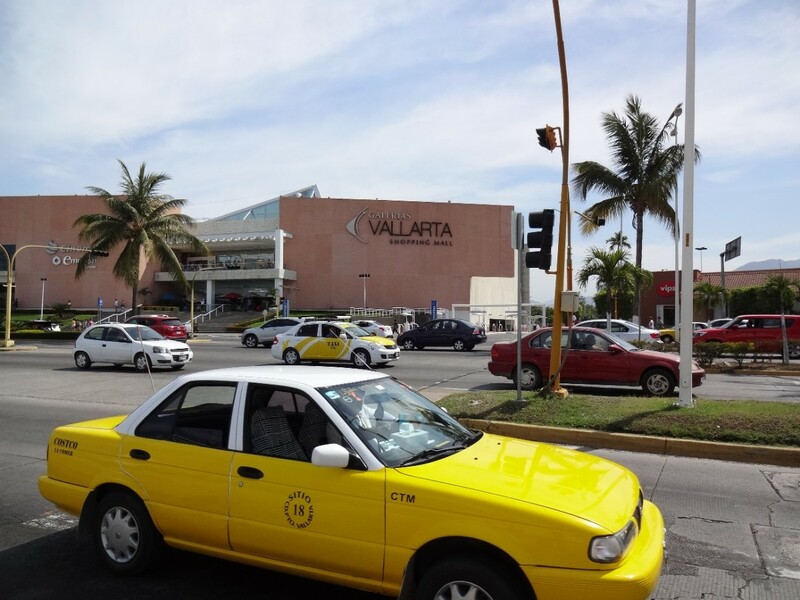 Tuesday's destination was Mazatlán for the day and onward to Puerto Vallarta. 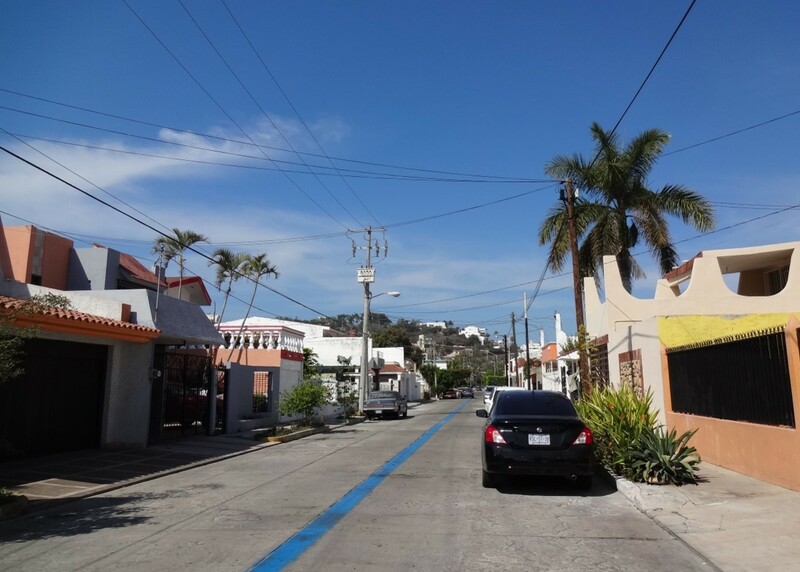 Speedy's favorite port was Mazatlán for its quaint, shaded walking tour and colorful decor and artful displays. 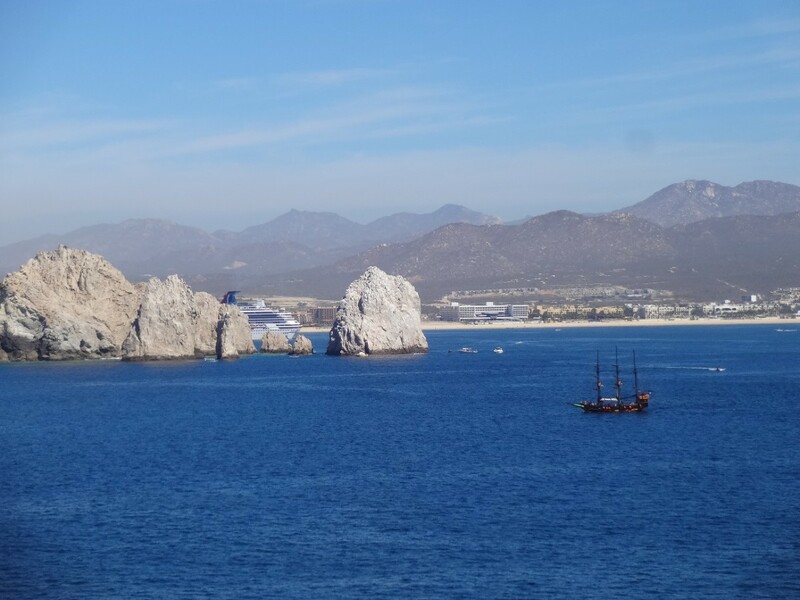 Approaching Cabo is a treat in itself with land appearing well before the port. 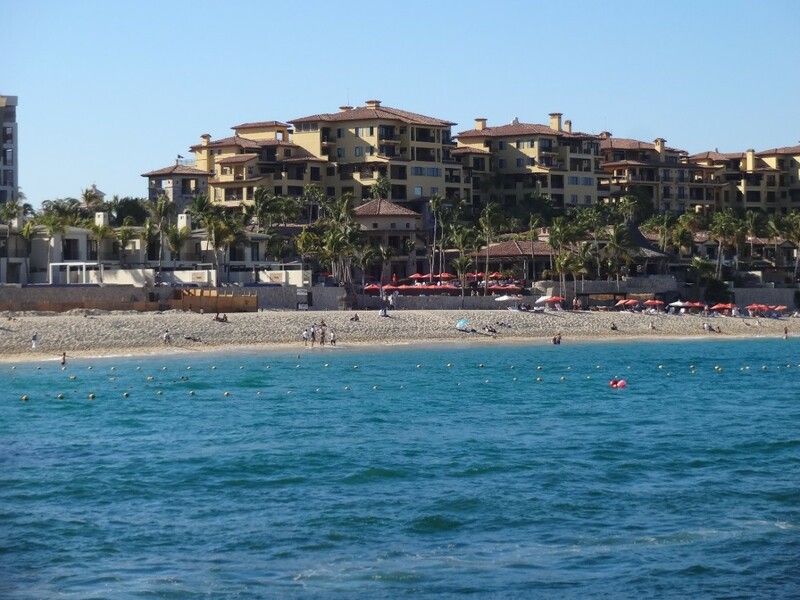 Photos of the gorgeous coast are a favorite for cruisers who flock to the rail as we grow closer to the bay. The ship remains in the bay as Tender boats take tourists to and from the ship. At the port is a small shopping market with places to eat and drink within walking distance. 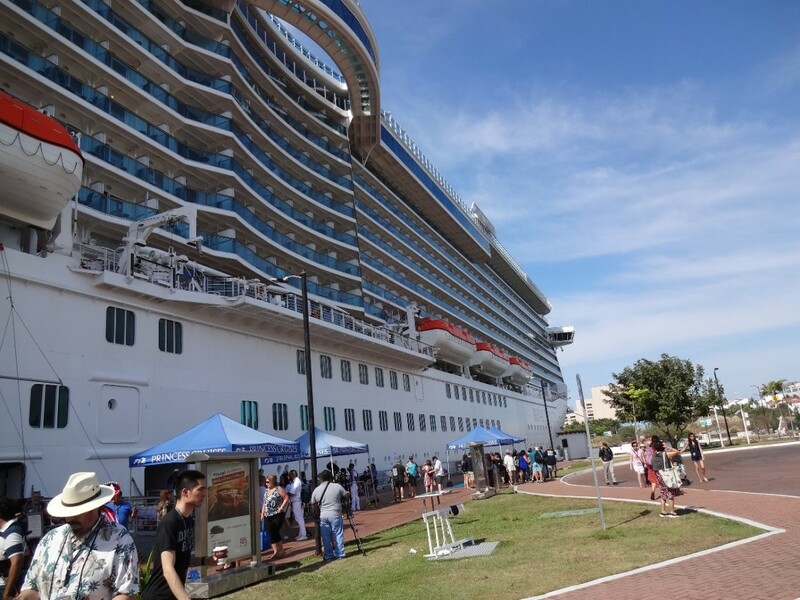 Off ship excursions are available while the ship is in port. 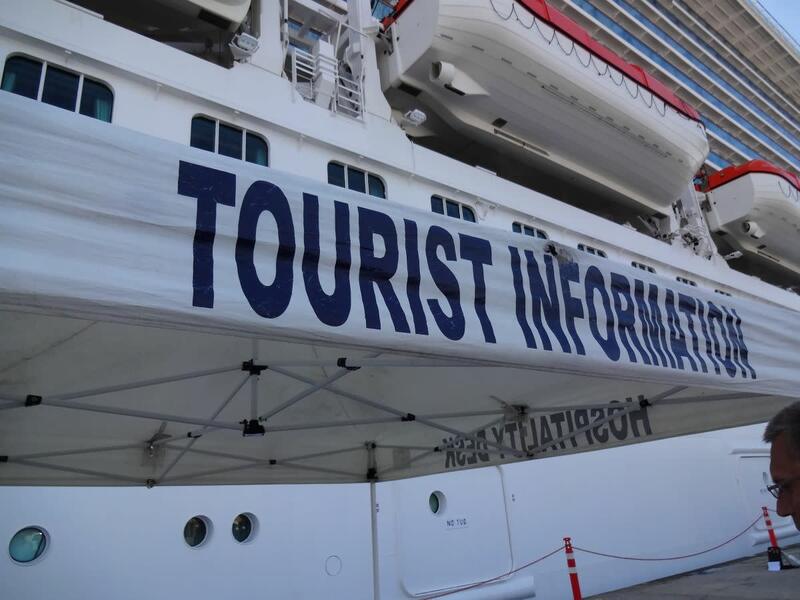 Rather than take a chance with unregulated local tour guides, stick with sight-seeing trips offered and arranged by the cruise line. That will keep you safe while on foreign soil. Hawkers are everywhere trying to promote their island and port tours. Just say, "No, thanks." 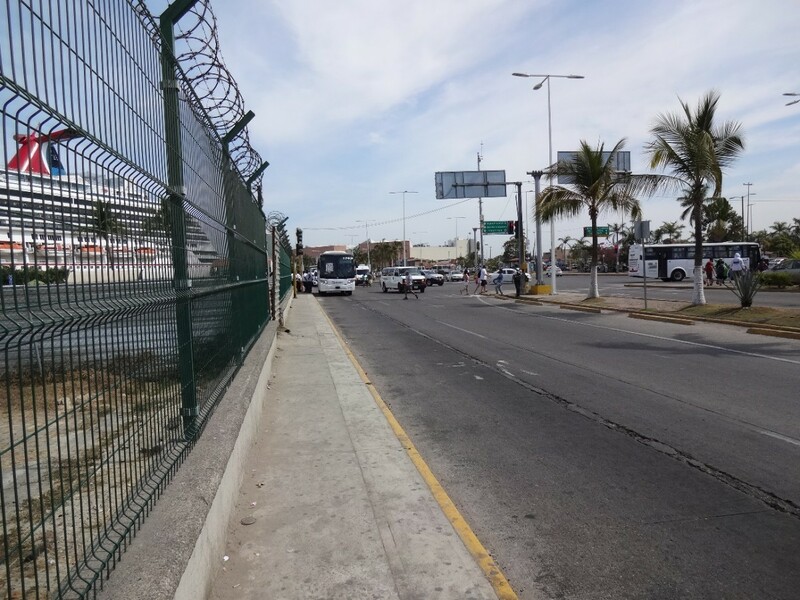 At the port in Mazatlán the ship provided a shuttle to the Blue Line walking tour which led through the side streets near the pier. 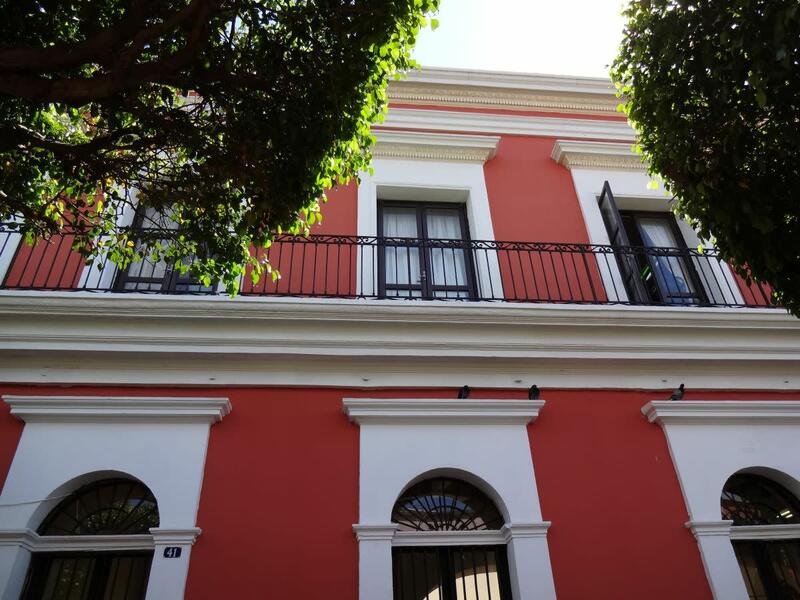 At regular intervals, there were English speaking volunteers to assist in answering questions and keeping tourists on the right path to the square. We were cautioned to stay on the Blue Line. At one point, we were advised to walk toward the center of the street to avoid the big dogs housed in nearby fenced yards. They like to lie in wait and sneak up on the unsuspecting tourist. 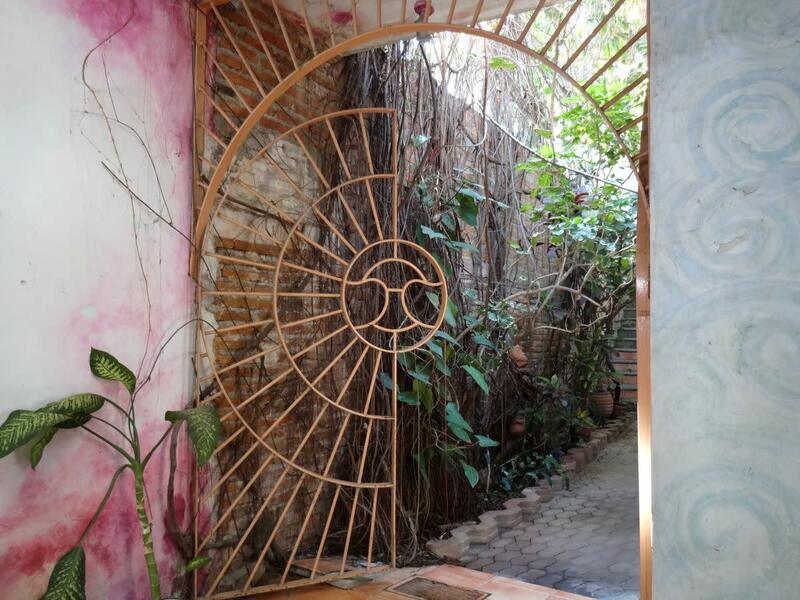 All along the walking trail were colorful, picturesque houses, flora and traditional decor. 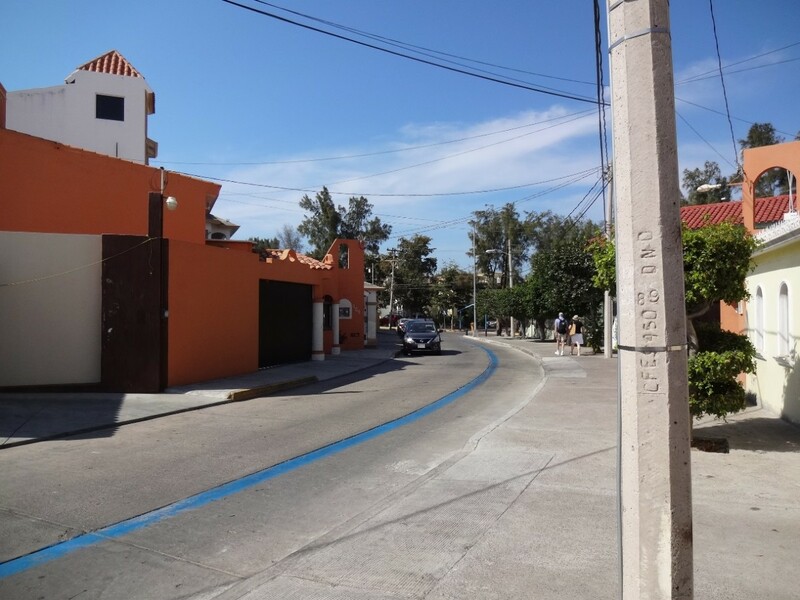 Following the blue line to the Juarez Market, we passed Cantinas, museums and art galleries. In the square, authentic costumed Aztec dancers performed and posed with visitors. 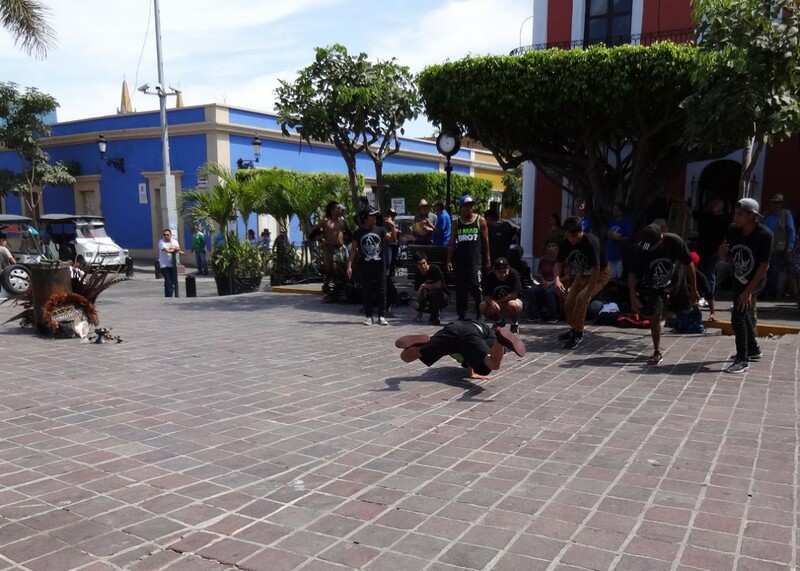 Later, the break dancers put on a high-energy hip-hop show. "Stepped into a church I passed along the way." 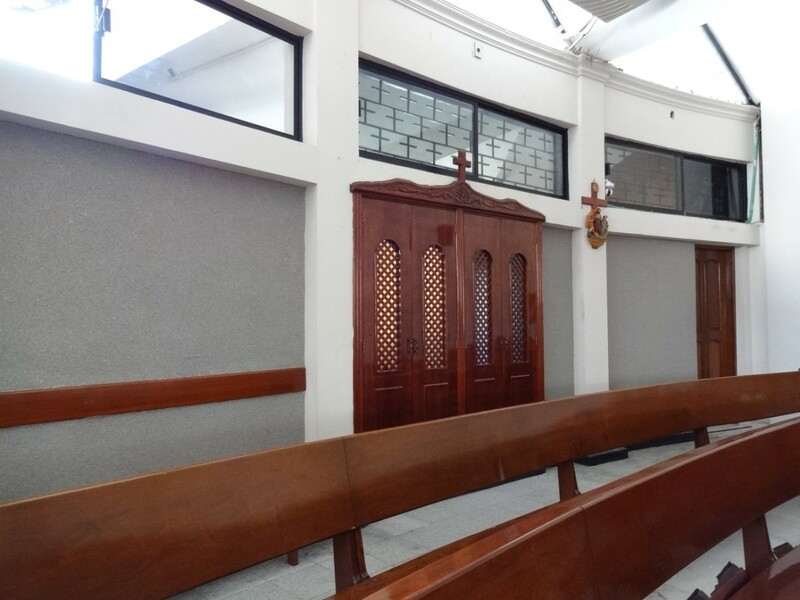 Quaint and reverent, the old-world atmosphere gave pause for a quick prayer and a moment of rest, the confessional booth reminiscent of a long-lost era. 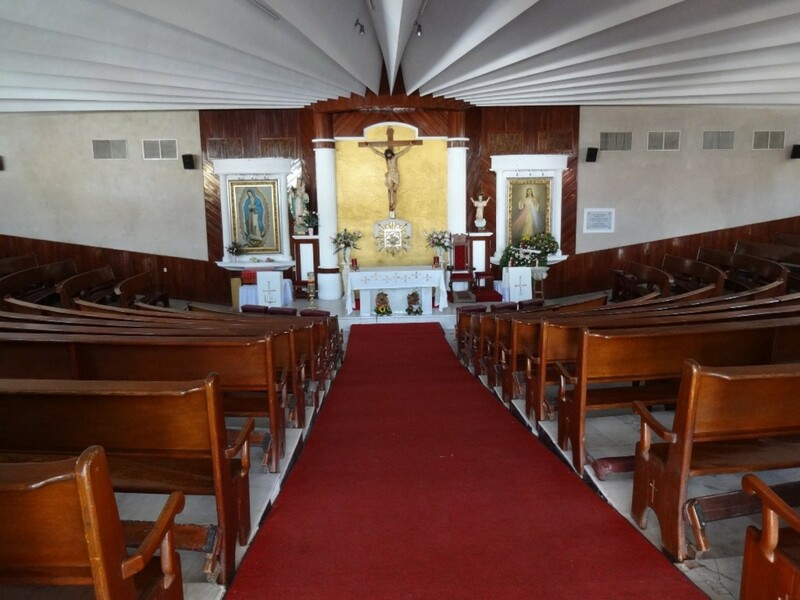 We were the only people who seemed to take refuge at the church. At the altar were fresh flowers from a recent funeral and an aura of solemn reverence. 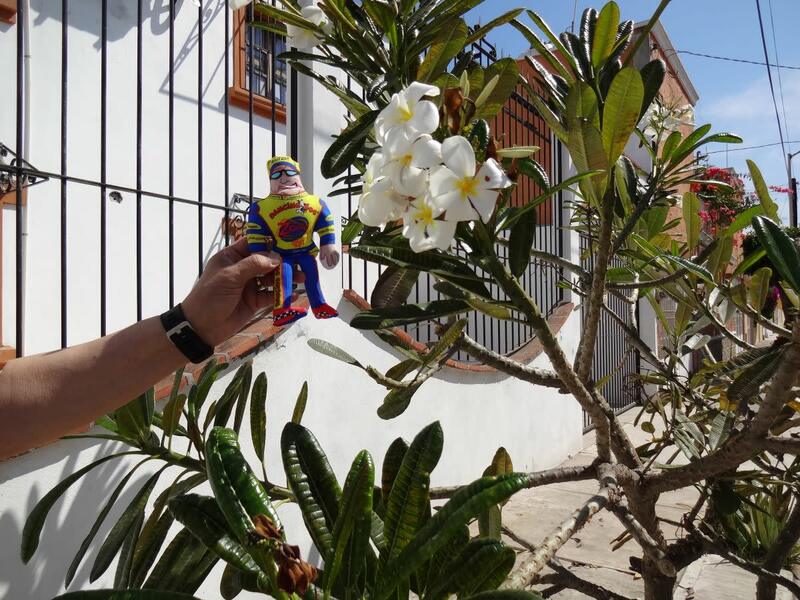 Photo opportunities abounded in the Square where Speedy ventured taking in the sights. 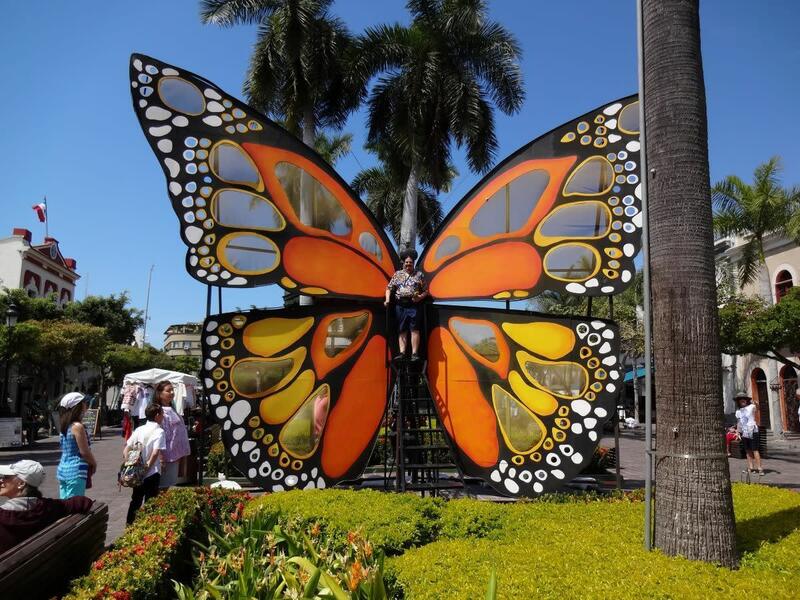 A popular spot, this butterfly structure had a rickety iron staircase with no handrail. Despite the risk, people lined up to climb to the top and pose for a photo. 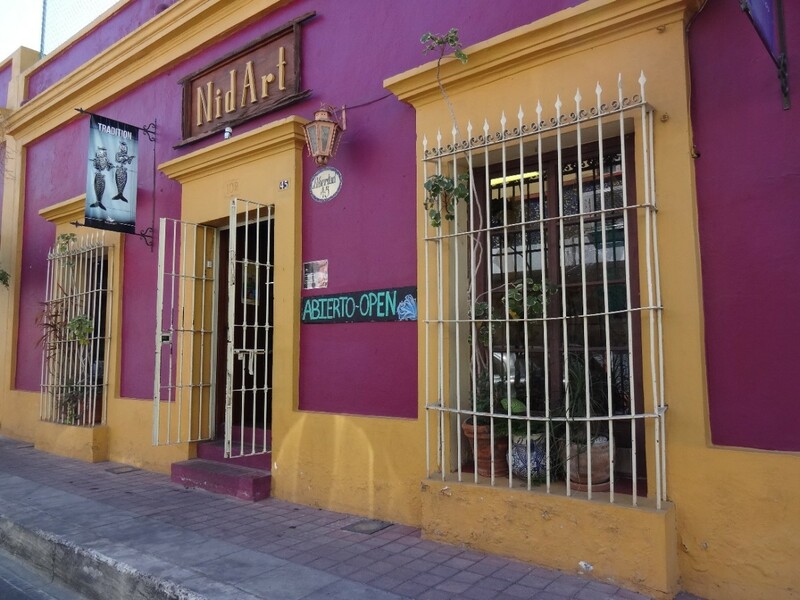 The Market in Mazatlán offered an abundance of souvenir merchandise to look at and bring home as gifts. Merchants with swimsuit cover-ups, hats, shoes, jewelry, ceramic number tiles, statuary and even a small pharmacy lined the square with colorful displays and affordable items. 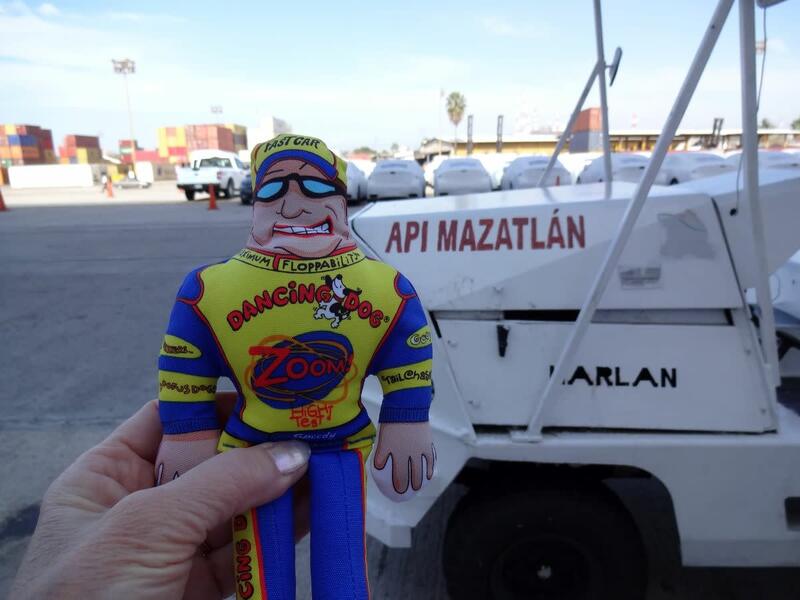 Disembarking at Puerto Vallarta was easy with the dockside access to port. No tender ship transport was necessary, just a quick walk to the ship-side waiting area to wait for our number to be called. Then down the gangplank and off on our own. The heat was on once we got off the ship with hordes of taxi drivers hacking for fares to take us downtown. We elected to walk to the "nearby" flea market, toted as a ten-minute walk. After 20 minutes of fruitless walking in bus fumes on a narrow sidewalk with traffic only inches away, we turned around and went back to the ship but not before we passed an unfortunate homeless person sleeping on a bus bench. Every few steps on the street a taxi would pull up next to us and ask if we wanted a ride. We could see other tourists flying by in taxis with the radio music blasting. Sea days are perhaps Speedy's favorite time aboard ship. After a hearty breakfast, he set out to walk off the calories on the Sports Deck, Level 18, where a walking and running path stands ready for action. The slower group, like us, stepped aside even for the fast-track walkers as we meandered along at the speed of a turtle. Even so, we were happy to report a weight loss of a couple of pounds due to our diligence after over-indulging in rich food. 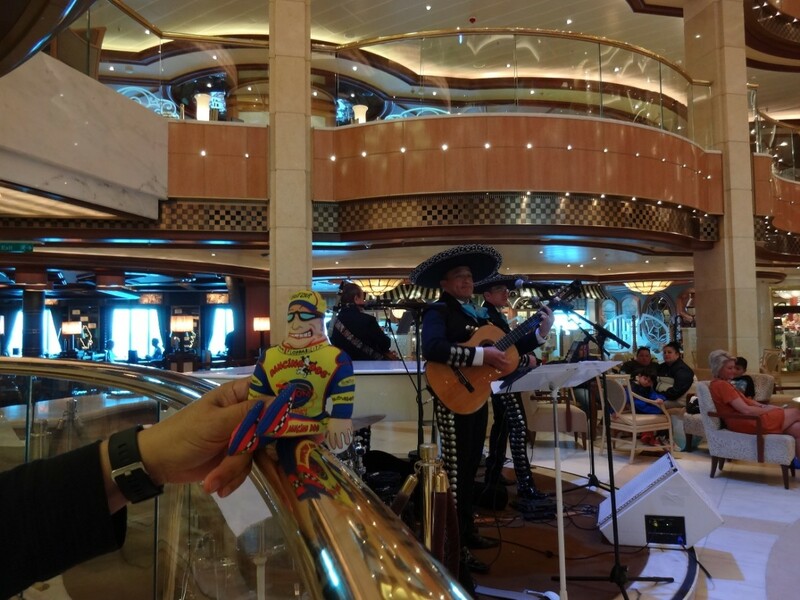 When not walking, Speedy joined in ship festivities like Bingo, Movies under the Stars, Theater presentations, the Casino, Mariachi band performances, line dancing, contests and more. Guests choose their preferred dining time and are assigned a specific table each night should they choose to eat in the dining room. 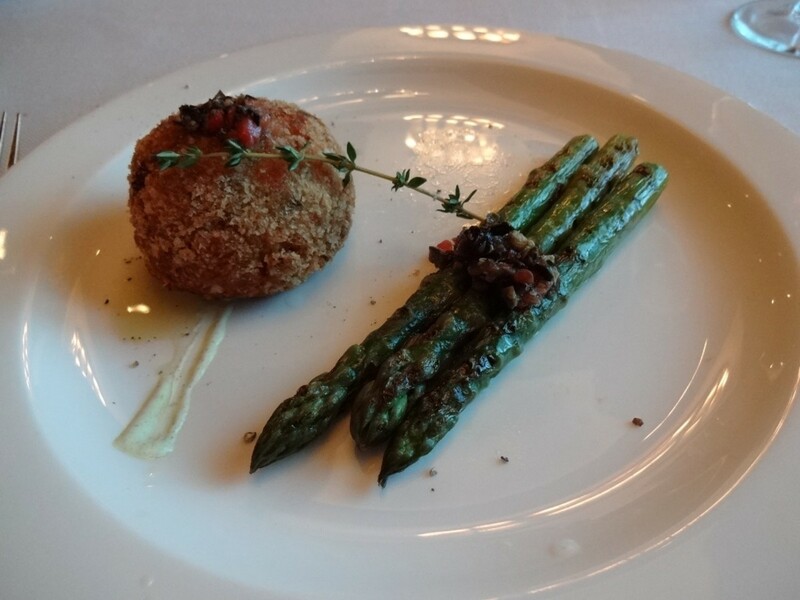 We were treated to delicious food at the Allegro Dining Room with excellent service from our designated wait staff, Anastasia and Yurry. Originally from Ukraine, they've been sailing and working on cruises for over seven years. We opted for one dinner in the Crown Grill which requires reservations and a small up charge to dine. ($29 per person) Proper attire is required. Not so formal as a tuxedo, although we did see patrons who wore them. Shirts with a collar and a dinner jacket is preferred for the formal night dining experience. We were first seated at a busy two-top table near a large family reunion. The Maître ‘D cheerfully moved us to a quieter booth at our request where we enjoyed an incredible meal. Be sure to bring along anti-motion sickness medication. The Sea Band wrist straps worked well for me using an acupressure method. Bring any prescription medications in your carry-on luggage to assure you'll have it when needed. Bring along over-the-counter medicine that might be helpful like Day Quill, Tums, Aspirin or Dramamine. Purchasing these on board is expensive. The medical center is also available when needed. Carry on an outfit for the first night's dinner in case your luggage is late arriving. Pack a swimsuit to enjoy the pool on boarding day while it's relatively undiscovered. Order the water package to have bottled water ready in your cabin. Bring a few powdered or liquid drink additives for a quick, inexpensive beverage. 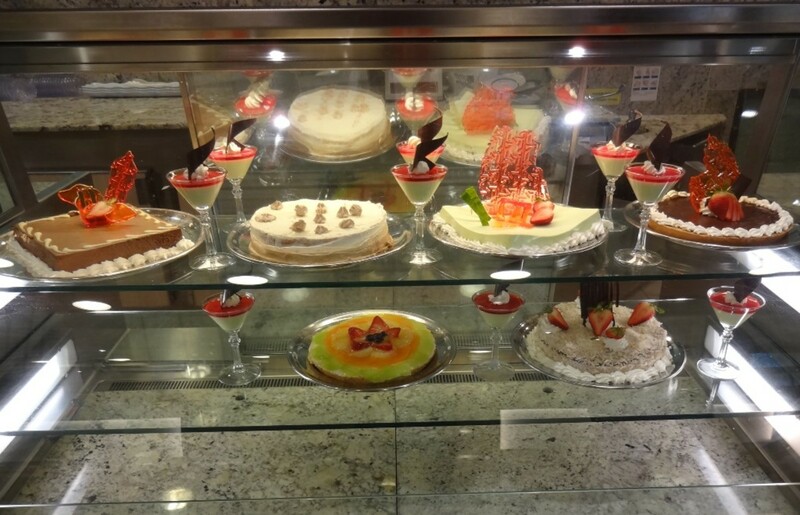 Try out the International Cafe, open 24/7 for late night snacks, Panini sandwiches and delicious desserts like chocolate mousse. 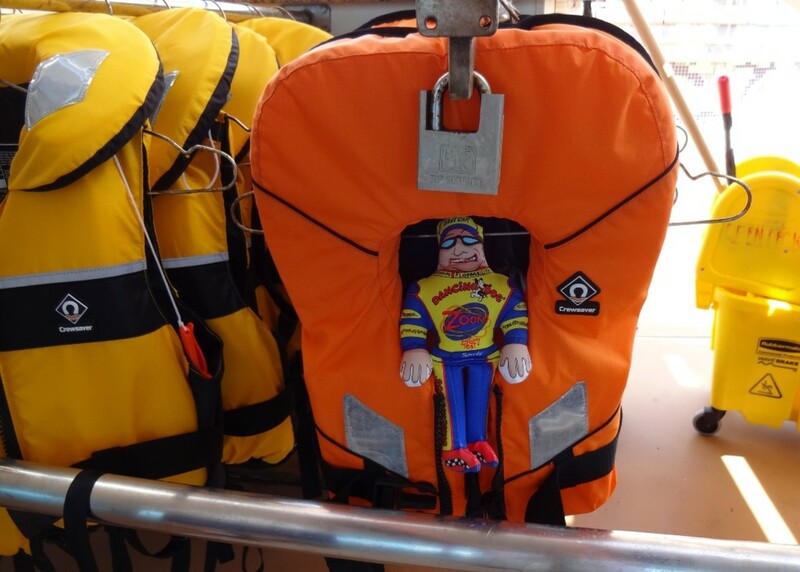 Take a tip from Speedy the Stowaway and use your time wisely while on board. There are so many things to do and see you'll never be bored. 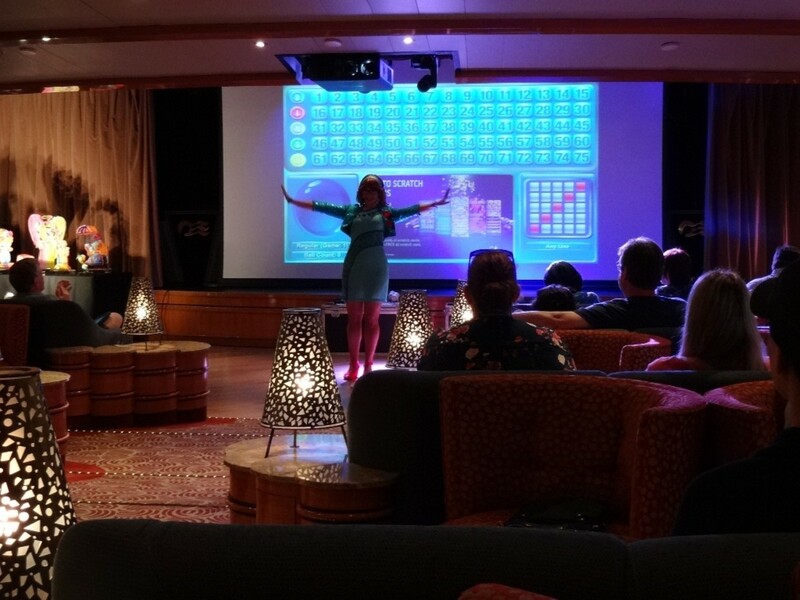 Between the movies under the stars, the theater productions, the games and contests, the dance lessons, line dancing, musical performances, the Casino, the miniature golf course, the sports deck, the pool and all the lounges, there's something for everyone. Dear Dora, Maybe some day we will meet aboard a wonderful cruise on an adventure to share. Cheers and thanks for the visit. 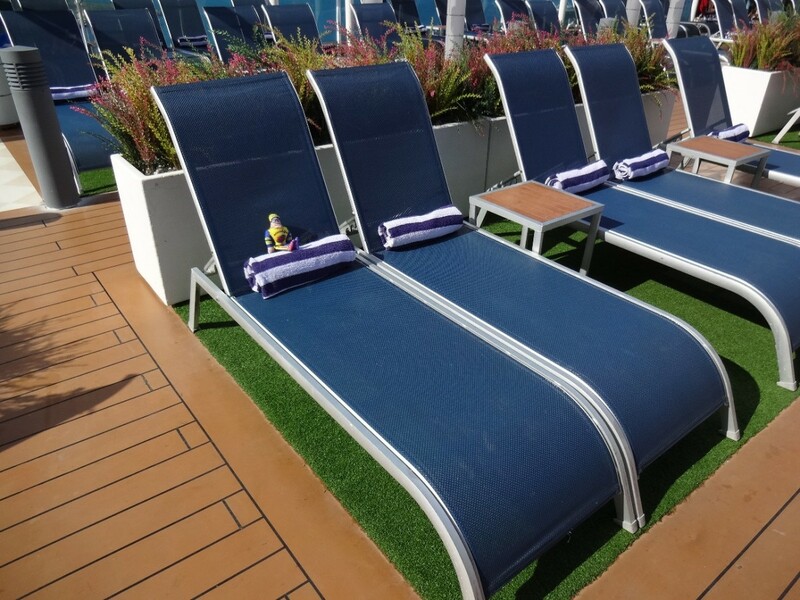 The only thing better than reading through your cruise story would be actually sharing it with you and Speedy. Thanks for taking us along and exposing us to such pleasure. Good morning, Shauna. 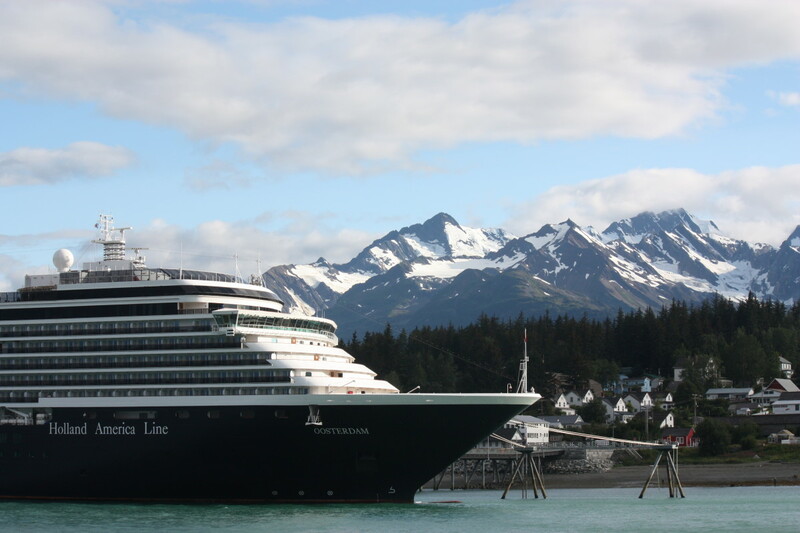 Thanks for sharing the adventure on the high seas. Cruising is great fun and made even more enjoyable with a small diversion like Speedy. I was thrilled at people's reaction to him. Guess he was a fun addition to the daily routine. Sadly, we gave him up for adoption to my SIL's two tiny dogs, Shadrach and Meshach who squeaked him vigorously and added him to their huge collection of toys. I have sent off for another of Speedy's clones who hopefully will arrive before our next cruise. We actually happened upon a whale sighting but the photo I took looks mostly like a lump in the water. There are whale watching tours but we didn't sign up for any excursions. Maybe next time. So glad to see you here today. Still hoping for a HubPages cruise event one day. Hey there Flourish, We should put together a HubPages cruise event. Your playlists could drive the music venue and we could hire a DJ. Oh, what a fun time we would have. We could have Q & A sessions with our favorite writer/advisers and book signing/selling opportunities. Flash fiction writing contests. Maybe one day. 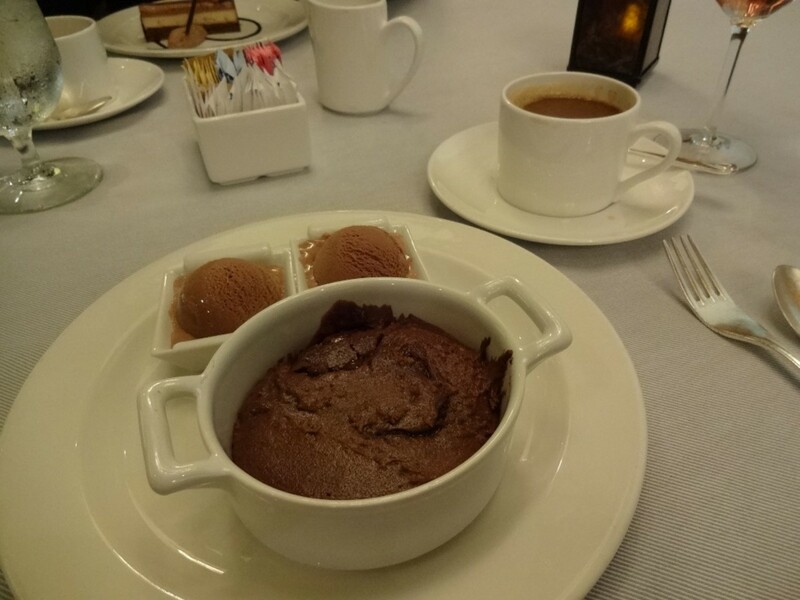 Hi William, I must say that I refrained from posting many of the beautiful food photos that we took on the trip. Wow. It was fabulous dining on board. Even with all the indulgences, I was able to lose two pounds due to the exercise I got walking up stairs and around deck. 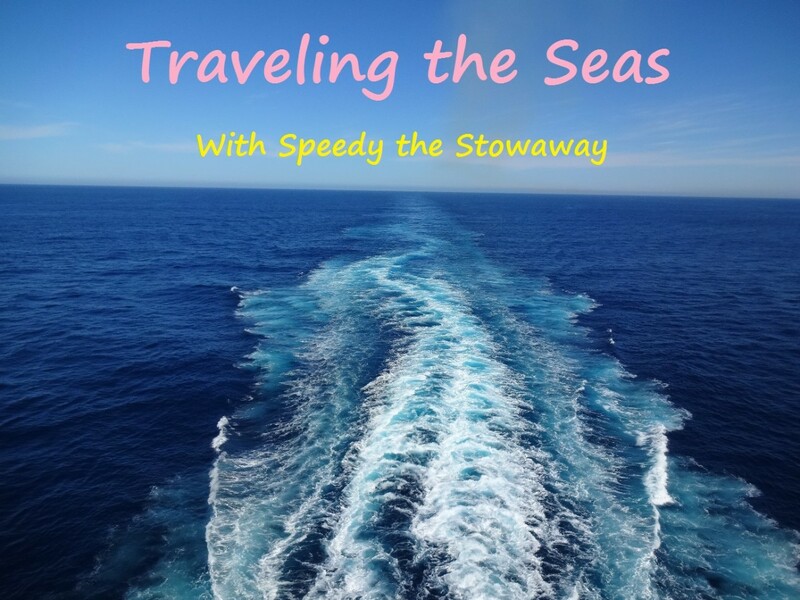 Hi Genna, So glad you could stop by and check out these photos of Speedy's cruise. We had such fun taking him around to meet people. Their reactions were priceless. 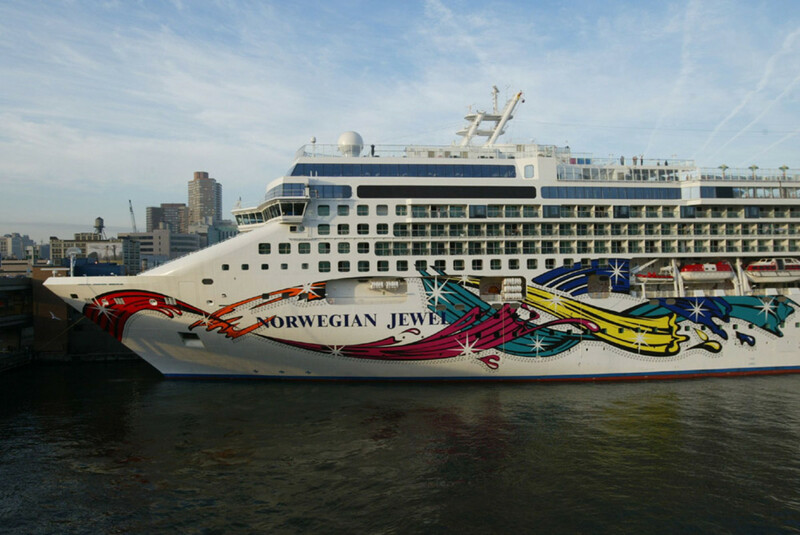 I still envision one day that HubPages would have a cruise event where we could all meet in person and enjoy a few days together. I know a guy that puts together celebrity cruises. His name is Jim Seeley, VIP Cruises, Tours and Events. My first time on a cruise ship was a Kenda Cruise where Lt. Joe Kenda was the featured host. Maybe one day, after one of us gets famous. . . That would be such fun. I actually got to meet Mike F. in CA before our cruise! So cool to put a real face with our online friends. Peggy, I didn't want this post to end! It looks like you and Speedy had a fabulous time. How clever to bring on a stowaway. I'm sure the Cole Crew are key characters in the tales fellow cruisers and staff alike will be talking about for years! The sea shots are so beautiful and peaceful. What types of marine life did you see on your trip? I can't wait for you to take another cruise! BTW, did Speedy go to his intended home after the cruise or did you decide to adopt him? Liz, Hello again. 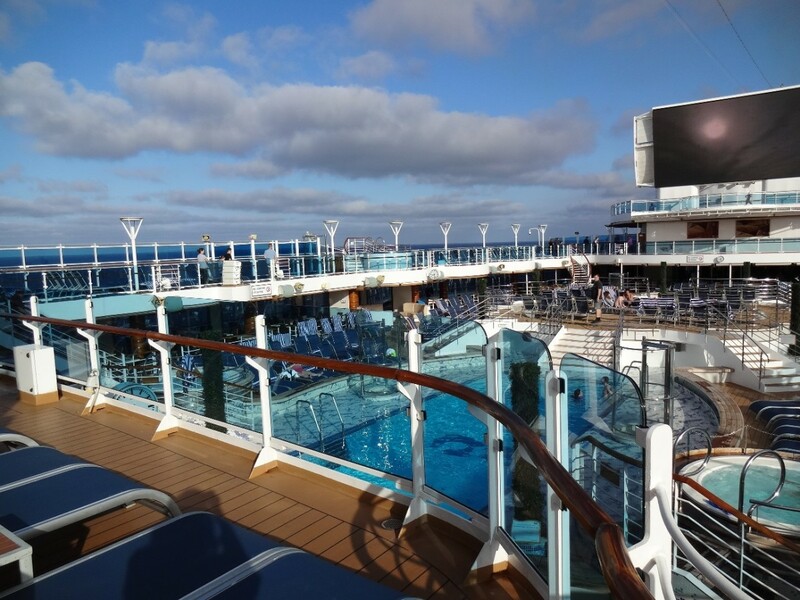 Yes, the beautiful part is the all-inclusive nature of the cruise. Food, lodging, entertainment, and shopping are all under one roof. 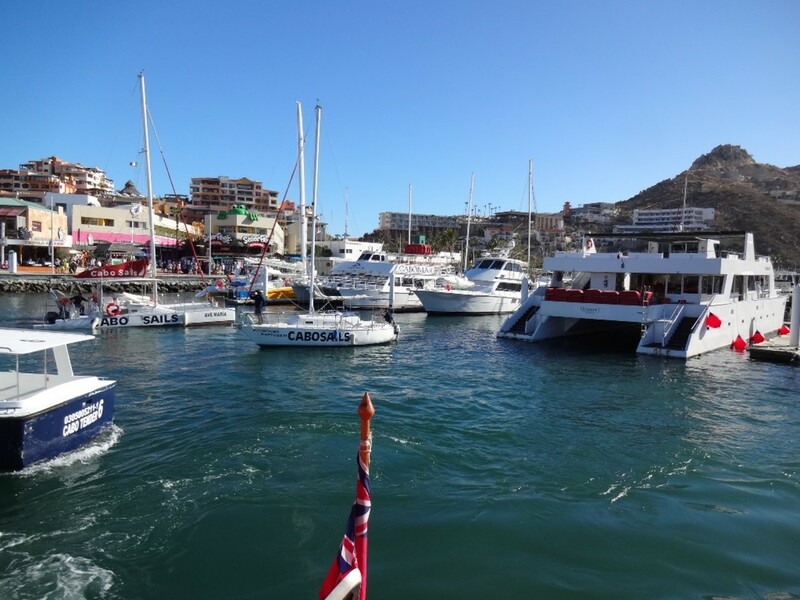 For those more adventurous than us, there are dolphin excursions, restaurants and tourist sites off the boat. We were exhausted by the end of the day and missed many of the nightly featured events on the ship. Hope that you'll get a chance to cruise with your hubby. I’ve never taken a cruise although my husband really wants to. Your article makes me reconsider. Of course I can count on you for great musical commentary and notes. "And the sign said, 'Freaky people need not apply'. . . Can't you read the signs?'" J is growing his hair. It's past his shoulders, the longest I've ever seen it. I was so touched to find this wonderful church on our walk - with the special name that reminded me of you. 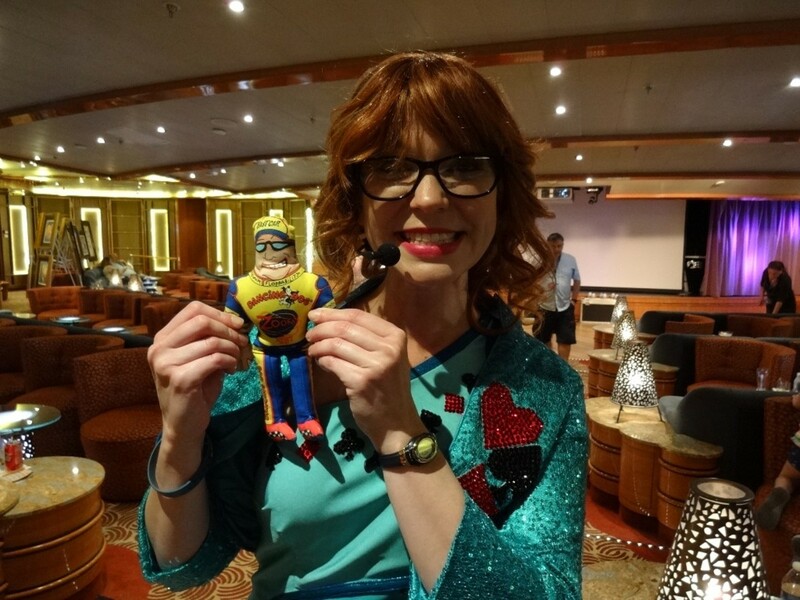 Thanks for finding fun, happiness and smiles in this recap of our cruise. Loved every minute of it. Maybe one day we will sail away as a group. "Come Sail Away, come sail away, come sail away with me." Hugs dear friend. Hi Pamela, Wow, five cruises! That sounds like you really enjoy the experience. Hope you will get on board for another one soon. Dianna, I hope you will check this item off your bucket list. It took years of pleading for my hubby to convince me to go on a cruise. Now, I'm eager to make it a yearly tradition. We had so much fun. It was great to be away from phones and distractions and just have quality time together. After all those great pics, all I can say is, "I'm hungry!" 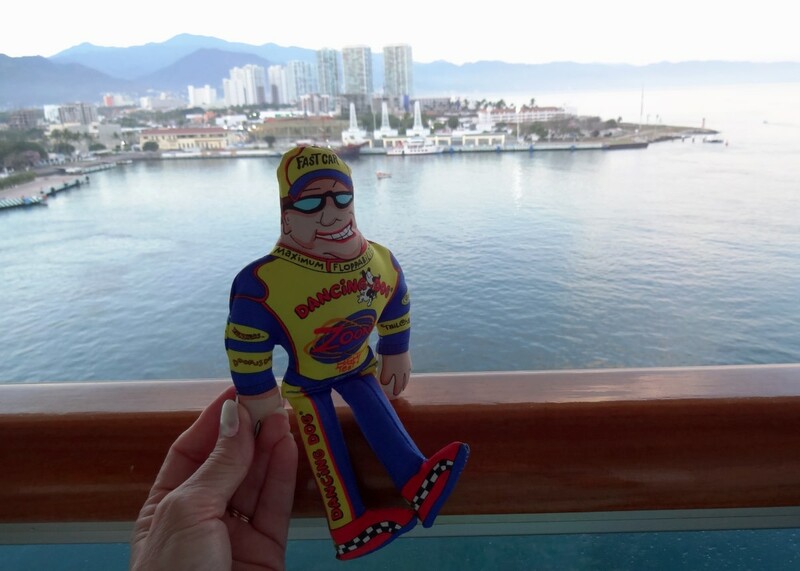 I'm so glad Speedy enjoyed his cruise as much as you did. Thanks for the info. Thanks for your description, Peg. That was a nice surprise, though I feel it is undeserved. 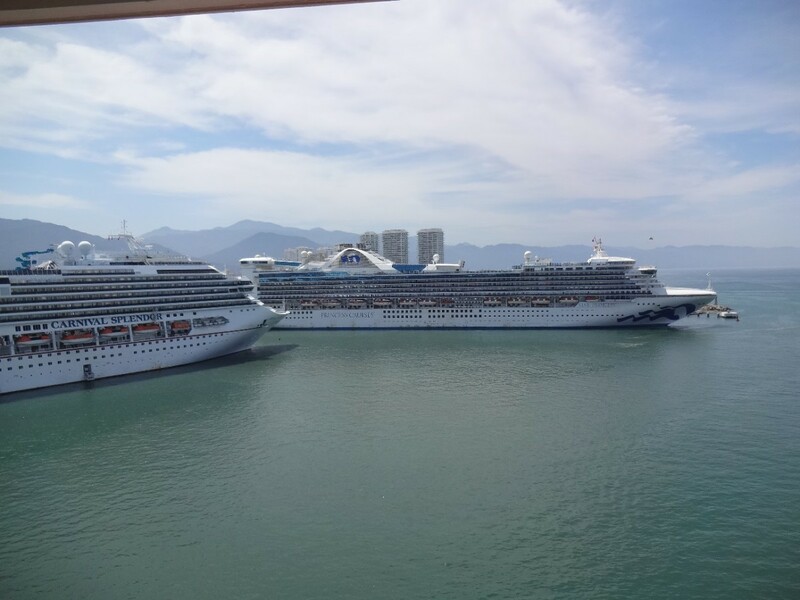 My link with cruise travel so far has been gazing at the ships in Malaga and Barcelona ports or anchored off the coast of the Cote d'Azur. We have also done 'cruise lifts' for friends and relatives and I always enjoy hearing about their experiences afterwards. The attraction of being able to see so many destinations without moving hotel room is great and I hope at some stage in the future we will take a cruise holiday. I need you to become my marketing manager. You have such a way of making me feel worthy and valid with your words. Thank you so much for the encouragement. Oh, wouldn't it be great to have the ship promote this? They could send Speedy all around the world. And of course, we'd have to chaperone his travel. How cool would that be? Hugs dear one. Hi Liz, Coming from a travel pro like you, this is high praise. Thank you. Hey there Mckbirdbks, I knew you would catch the reference to the Mamas and the Papas. I couldn't resist. Maybe I'll add in the music video for effect. Love that song and also loved the opportunity to meet you in person before our cruise. It was so kind of you to take the time and make the trip over to Long Beach for food, company and a good time together with J, Speedy and me. You are so correct in thinking that I took notes and many photos to help in writing the new mystery novel. I have some great pics of fishing boats now. Thanks so much for the visit! Hugs. 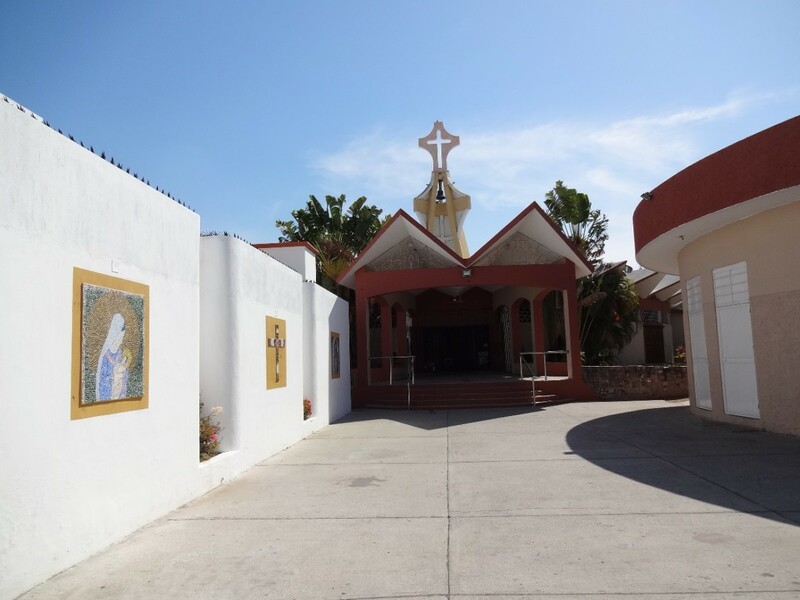 Tell me, when "the sign says 'Everybody welcome, come in, kneel down and pray' " - will they be going to the peaceful sanctuary of Parroquia Maria del Mar or am I just California Dreamin'...?! "Much like life, the destination is not nearly as important as the journey." Thanks for sharing this journey with us, dear Peg. Hello Louise, Thanks so much for enjoying the photos. It was so difficult to choose from the hundreds of pictures I took. Glad you loved Speedy, too. He has plans to travel again soon. 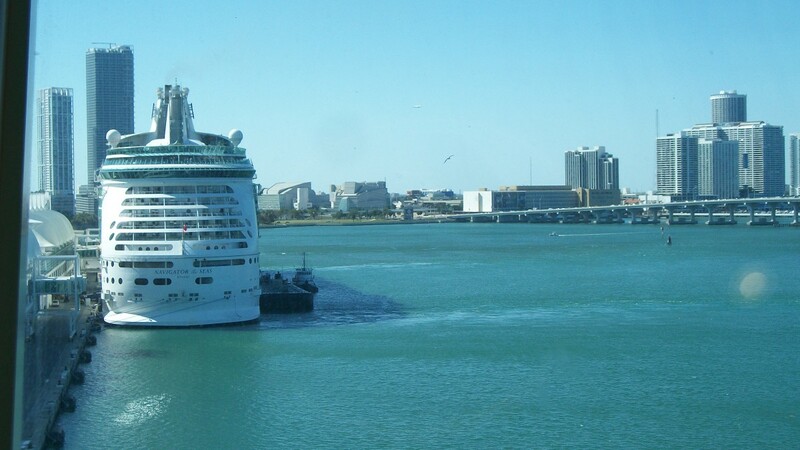 Your cruise pictures are wonderul, and your descriptions brought back good memories for me. Thank you for a great adventure. It is on m bucket list to go on a cruise and you've inspired me with your travel adventures. Speedy knew what he was doing; don't miss out on such a marvelous trip! Peg, this is so lovely, and unique. Your writing is crisp, and inviting. It reads like poetry. 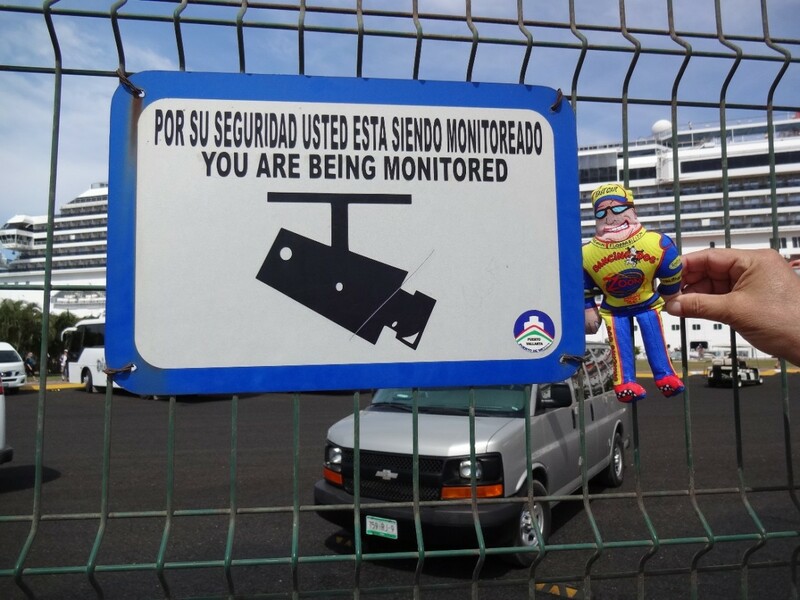 Your 'Speedy Stowaway' made the cruise so friendly, offered insights that are unusual. And the photos are impeccable. Brava, bravo! I would file this under a must read for anyone considering this cruise, and I wouldn't be surprised if the ship picked this up for a promotion. Be sure to negotiate a good price, it's really nice, and filled with good advice. 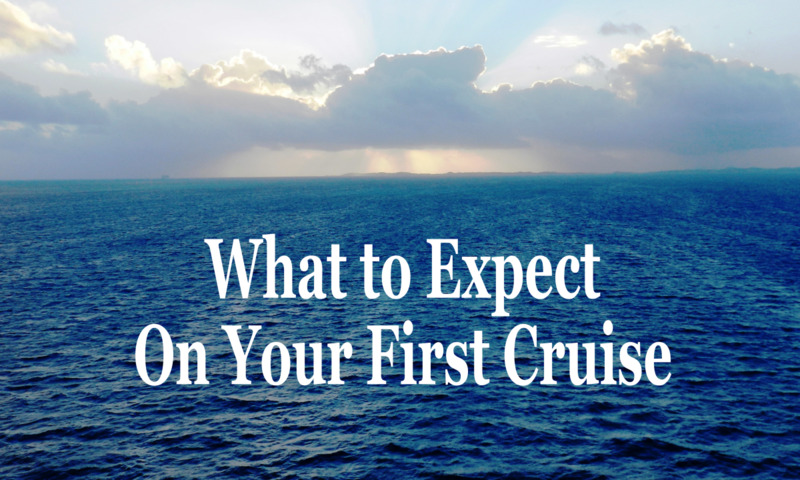 This gives a very thorough review of your cruise experience. It is packed with tips, information and great photos. Hello Peg - Thanks for sharing. From the looks of it you and J and Speedy had a great time. Sun, sea and well prepared food, that is a good combination. And don't think I missed, The Mamas and The Papas reference. You took that passport to adventure and now have great stories to tell. I am going to guess that you made plenty of mental notes to add authenticity throughout your new mystery. I bet you were glad to get back to your pets. 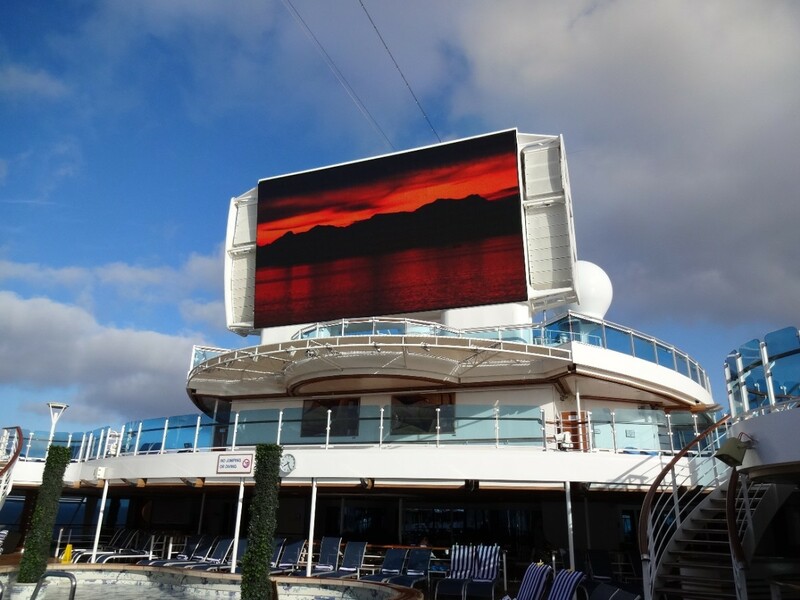 Oh I love the pictures of the cruise. 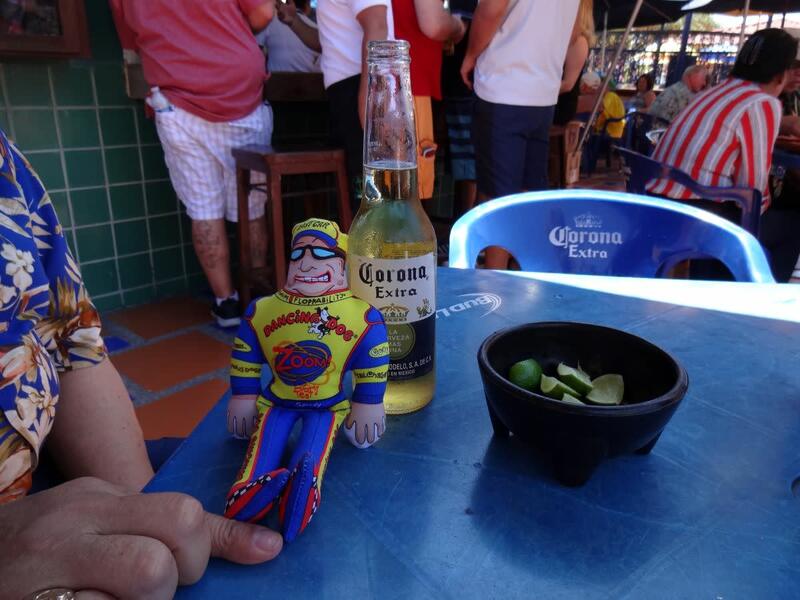 It looks like you had a wonderful time with Speedy! I love Speedy! Good morning, Bill. Great to see you here on this rainy Saturday morning. Yes, we had a great trip and will definitely go again. 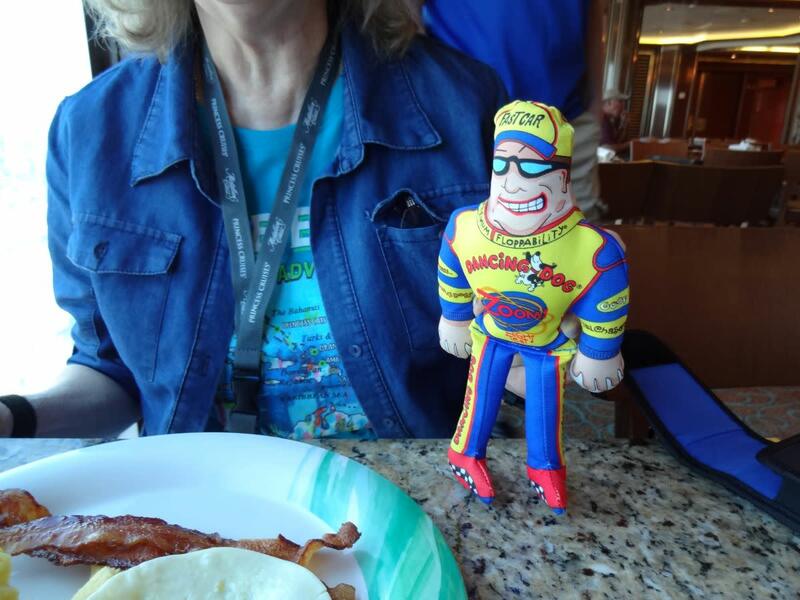 I've never been on a cruise; doubt I'll be going on one; but it was fun joining Speedy on his cruise, and I'm happy you had a great time.